I was extremely impressed at how great the sleeping bags smelled and that they had been laundered. I don’t know what I was expecting but didn’t expect sweet smelling sleeping bags. Leland and Kasey met and exceeded our expectations. Leland was our boat guide and was polite, professional at all times. 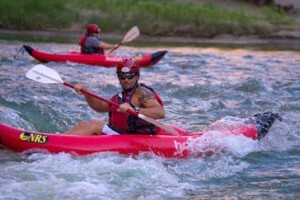 He was very knowledgeable about the river and area and was fun to have on the trip. He was excellent when we were involved in an emergency situation and was professional at all times. 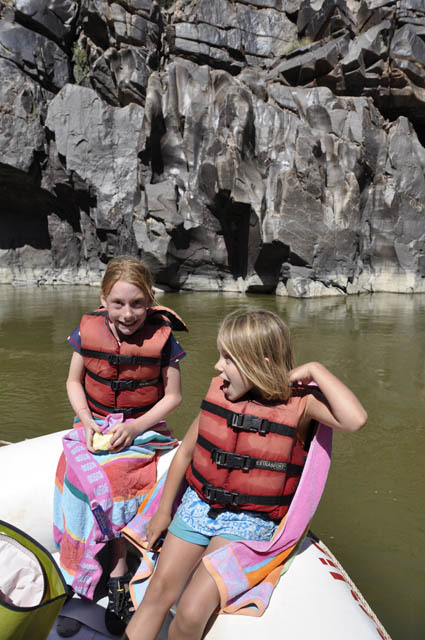 We had a great time swimming in the Colorado and sliding on the rafts. The trip brought me back to being a kid again. The transportation was on time and very professional. Our experience was better than awesome. You indicated on our itinerary that although we had been on many trips we have never been on a trip like this. That was right! We were pampered, cared for and most of all were allowed to have lots of fun. 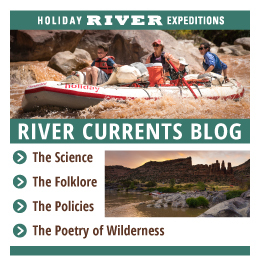 I have told many of our friends of our experience and have recommended this rafting trip to everyone. Both my husband and I had a great time and will reflect back on this trip with excitement and praise.